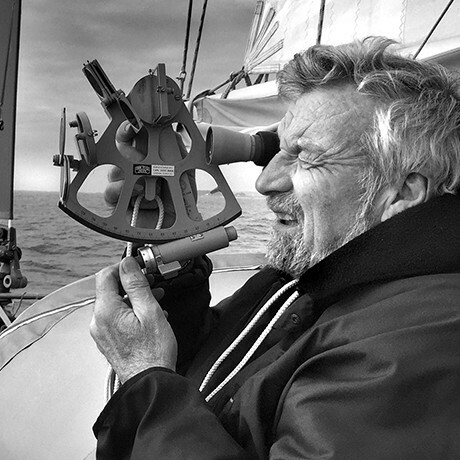 At 1500hrs UTC 5th NOV. Jean-Luc Van Den Heede called GGR Founder Don McIntyre to advise that his Rustler 36 Matmut had been knocked down badly to about 150° which had damaged the connecting bolt attachment to the mast that holds all four lower shrouds. The mast was not in danger of falling, but it was not securely tensioned. The bolt has slipped 5cm down in the mast section and slackened the rigging.. 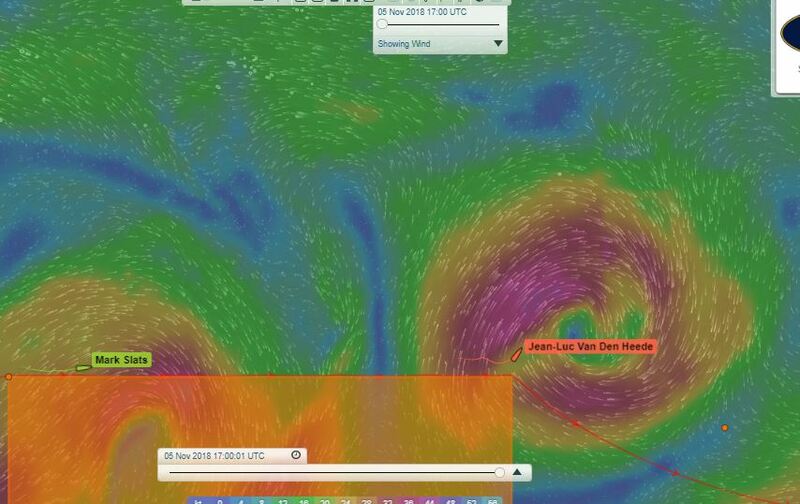 He is still in the storm with 11 metre seas and 65knot winds. Conditions are expected to moderate in the next few hours. Kopar’s ‘bad luck’ started with getting to grips with an unfamiliar wind vane self steering system at the start and extends to a rogue wave that washed out much his electronics and books, and flooded the main cabin with 300 litres of water. The last straw was a bird that attempted to land on his masthead wind vane, bending one of the arms into his VHF radio antennae and interrupt the signal. He bemoans chasing cross the Atlantic to get to the start on time, rather than focusing on getting to know his boat. But still smiling, he added more positively. “Now I am on catch-up and would like to catch up with Susie Goodall in 4th place – I gave my word to her mother before the start that I would look after her!” He joked. There is certainly a race now, not for 4th, but to capture a podium position at the finish back in Les Sables d’Olonne. Kopar, Goodall and even 6th placed Tapio Lehtinen, due to reach Hobart tomorrow (Tuesday) all have eyes on Estonian Uku Randmaa and his struggle to maintain pace with his barnacle encrusted yacht One and All. 4,000 miles ahead of this group, Race leader Jean-Luc Van Den Heede is currently facing what my become one of his biggest tests so far. In a 2-minute conversation with Race HQ in Les Sables d’Olonne today he spoke about 65knot winds and 11 metre seas. But at least he is now within 1,900 miles of Cape Horn, which the Frenchman expects to round on November 21st. Contrast this with the performance of last placed runners Australian Mark Sinclair and Russian Igor Zaretskiy, now a whole ocean apart from Jean-Luc’s Rustler 36 Matmut. 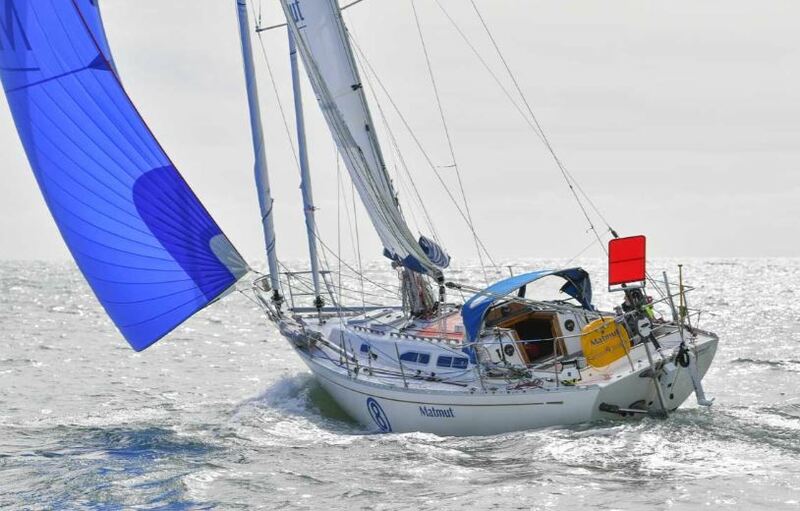 Zaretskiy, who has had his problems fixing a broken forestay and suffering hand sores, has chalked up an average VMG of just 2.1knots over the past two months. Sinclair is clearly getting much more enjoyment from his solitude, but still, his average VMG over the same period is only 2.3knots. Last week he took time out to track down and photograph Gregor McGuckin’s abandoned yacht Hanley Energy Endurance. “Still afloat and emitting an AIS signal” he reported to Race HQ. Sinclair expects to reach the Boatshed.com Hobart film gate on Saturday December 8. By then both Van Den Heede and second placed Dutchman Mark Slats (Ohpen Maverick) are likely to have rounded Cape Horn and heading north up the Atlantic.